This frightening phenomenon can cause sufferers to have hallucinations of demons. The scariest part? It's actually pretty common. If you’ve ever experienced an episode of sleep paralysis, then you know what it feels like to wake up and not be able to move or speak. In case you haven't, it is something akin to a brief waking nightmare — some even think it's a visiting demon. “It is a terrifying thing because you wake up and you think it’s like you’re in a movie. You wonder, Did I have some sort of accident and get paralyzed from the neck down?” Logan Schneider, a sleep specialist at Stanford Health Care, tells Allure. As bizarre and unsettling as the experience can be, it’s relatively common. “It’s a pretty normal phenomenon,” Schneider explains. “A good proportion of the population has experienced it, up to eight percent at least once.” To understand the science underpinning this strange and surprisingly common experience, we talked to sleep experts about what’s going on with your body when sleep paralysis occurs, what health conditions and sleep disorders can cause it, and what you can do about it. 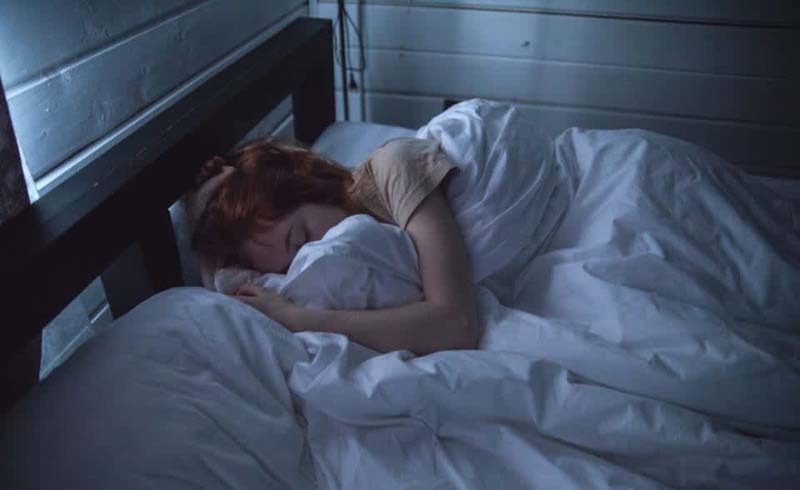 Before truly diving into the mechanics, you should know a little bit about how REM sleep (or, the phase of sleep in which you experience rapid eye movement) is supposed to work normally, since that's the sleep phase in which it typically happens. “REM sleep is generated from neurons in your brain stem that send projections upward into your cortex and make dream content happen, and then also send projections downward into your spinal cord to mediate the [body] paralysis,” according to neuroscientist and sleep specialist Andrew Varga, an assistant professor in the division of pulmonary, critical care, and sleep medicine at the Icahn School of Medicine at Mount Sinai. He explains, “[The brain stem and spinal cord] should be working in unison so that when you're having active dream content you are also actively paralyzed." When you wake up, you should stop having dream content and start perceiving reality, as well as stop being paralyzed. What triggers sleep paralysis is when these two functions get out of sync. “Sleep paralysis happens when these circuits get slightly off in terms of timing, with the cortical circuit that switches you from dreaming to awake turning off before the spinal cord circuit that switches you from paralyzed to not paralyzed goes off,” Varga explains. Essentially, you become perceptually awake, but there's a lag in function in the spinal cord circuit, so for a couple of seconds, you still can't move. Frankly, it can be downright eerie. Many people describe feelings of terror and anxiety or visual hallucinations during sleep paralysis. “Some people describe a menacing figure coming up out of the dark," Schneider explains. “Sometimes it's just this feeling that there’s this danger lurking in the room." There’s an explanation for this kind of stuff, though. Varga says people often experience these strange hallucinations or feelings because of the physiology behind sleep paralysis, including the rapid transition from a dream state to a waking state. “There may be some lingering aspects of dreams,” Schneider explains. “If you wake up stressed and you still have a few dream emotions going on, that’s a theory as to why people tend to have anxiety-provoking visual hallucinations.” In fact, some people aren’t sure if they’re still dreaming or not, according to Varga. Anybody can experience sleep paralysis once or even a handful of times in their lives for no apparent reason. However, people who experience it more than once in a blue moon virtually always have some kind of related medical sleep disorder underlying it. “Disorders that fragment or disrupt sleep can often induce sleep paralysis,” Schneider explains. Anything that causes a rapid arousal out of REM sleep can cause it, but the two most common conditions that occur in conjunction with (or, are comborbid with) it are narcolepsy and sleep apnea. Narcolepsy is a chronic disorder that affects the brain's ability to control sleep-wake cycles. According to Varga, because the sleep-regulating function isn’t working in the brain, people with narcolepsy involuntarily move quickly in and out of REM sleep, non-REM sleep, and wakefulness. “Because [people with narcolepsy] are bouncing around so quickly [between these states], at the end of the night they might bounce directly from REM to being awake very quickly, and then they can have sleep paralysis,” Varga tells Allure. In fact, he also says sleep paralysis is so common in narcoleptics that it’s one of the four cardinal phenomena that doctors look for when making a diagnosis of narcolepsy. People with obstructive sleep apnea, a condition where airflow stops and starts intermittently during sleep, also experience sleep paralysis. “Basically, people stop breathing for a short period of time, and then they take a big recovery breath, and when they do they get a big surge of adrenaline and it creates a little cortical arousal,” Varga explains. Sleep apnea often means that the brain will be awake for short periods of time, but not the body. If you experience sleep paralysis more than once in a while, it could be a sign of an underlying disorder, and you may want to see a doctor. Varga urges people who are experiencing it frequently enough that it's an issue to see a doctor, because it may be a strong indicator of sleep apnea or narcolepsy. He continues, saying, “It's important to rule out any sort of secondary condition that might be contributing.” It's true that treating the main condition is the goal, and only a doctor can properly help you figure out what’s going on. You can start with a primary care physician, who can potentially refer you to a sleep specialist. They will go over the possibility of medication and discuss any necessary lifestyle changes you may need to implement if you have narcolepsy, as well as using breathing assistance devices for any cases of obstructive sleep apnea. There are a few things you can do if you experience sleep paralysis at random: Make sure you’re getting enough sleep regularly and reduce how frequently you're drinking alcohol. Additionally, people who are chronically sleep deprived are more likely to have sleep paralysis. The only thing to really do is remind yourself it’s completely normal, you’re totally fine, and that it will be over in a few seconds to a couple minutes.